Magnetic letters are a really good investment buy. Make sure that you purchase at least two packets so that you have doubles of letters to make patters such as “ee” in “seen”. Magnetic boards can be pricey so open up your press and shake the dust off a baking sheet or purchase a cheap one just for this purpose ( I got mine in Tesco for about 3Euro as it is own brand). 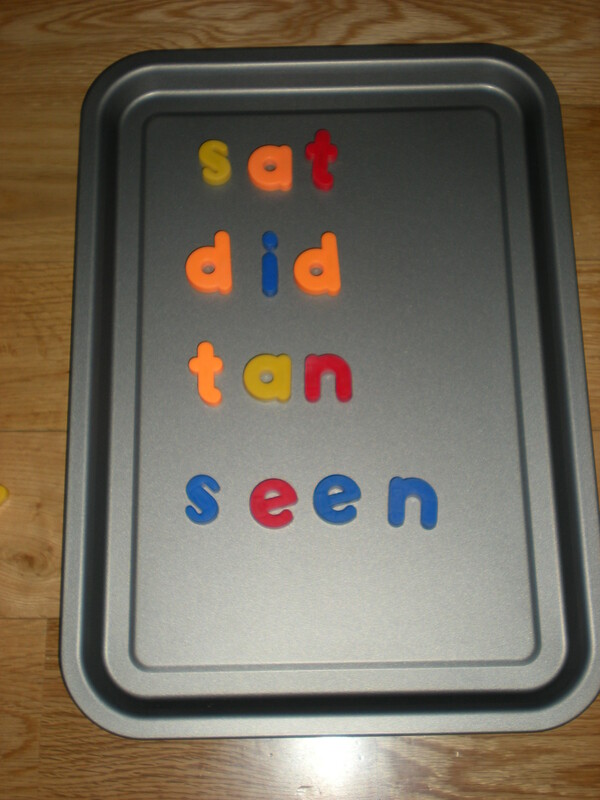 Using a baking tray has the added advantage of trapping the letters so fewer should land on your floor! Learning to write in playdough!